Brewster's Tavern is the newest gastropub located right on Main Street in Sarasota and it offers something for everyone. Brewster's is open everyday from 11 a.m. to 2 a.m. and the kitchen stays open until 1:30 a.m. each night, so you won't go hungry after drinking from their signature cocktails or one of their 20 different taps. Seven of those taps rotate and feature popular local breweries. Their gastropub style menu boasts Bites, Ale Wings, Tacos & Burgers, Handhelds, Soups & Salads and Brunch. Happy Hour is from 11 a.m. to 7 p.m. daily and includes $3 domestic drafts, house liquor and wine, and $1 off all craft beer. There have $10 food specials Monday through Friday which include a side, cocktail or soft drink. Monday is $10 Handheld Baskets, Tuesday is $10 Taco Baskets, Wednesday is Six Wings for $5, Thursday is $10 Pickle Back Baskets and Friday is $10 Brew Burger Baskets. Wednesday is also Ladies Night where ladies get 50% off all cocktails from 9 p.m. until close. They also offer a Bottomless Brunch every Saturday and Sunday for just $20.99. 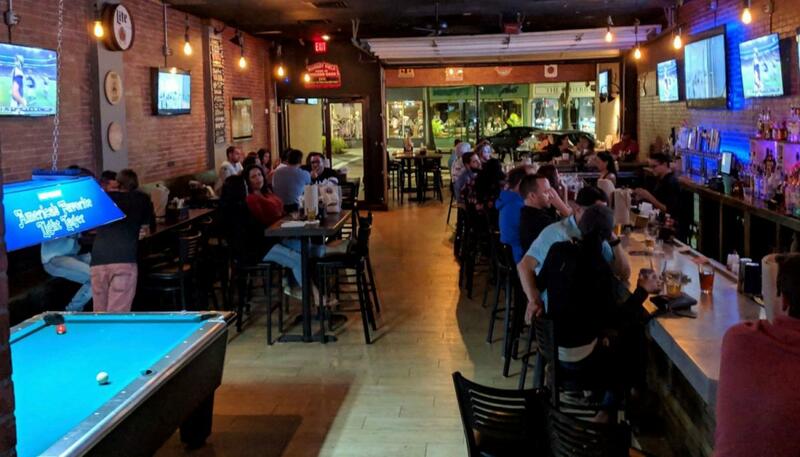 Aside from the full menu, craft beers and signature cocktails, Brewster's Tavern has darts and pool and also has all the DirecTV Sports Packages available so you can enjoy a night watching your favorite teams. Brewster's also offers 10% off to people who work in the service industry everyday and 25% off on Sunday & Monday. For more information, click here to visit their website and follow Brewster's Tavern (@BrewstersOnMain) on Facebook, Instagram & Twitter to stay up to date on specials. Brewster's Tavern has something for everyone in and is the perfect place to visit when you're in Downtown Sarasota! Be sure to connect with 941area for all the best restaurants around Sarasota!